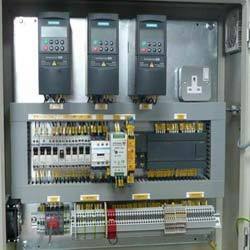 By utilizing modern machines and latest equipments, we are engaged in manufacturing, trading and supplying AC Drive Panels, these products in bulk as per the needs of our clients. These panels are strong and sturdy in nature and offer high level of performance with accurate results. All these products are technically accurate and are compact in design. We ensure timely delivery of our products. We are a well-known organization that is engaged in manufacturing, supplying and exporting high quality AC Drive (VFD) Panel. 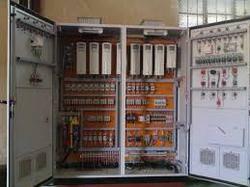 A variable frequency drive (VFD) is a type of motor controller that drives an electric motor by varying the frequency and voltage supplied to the electric motor. 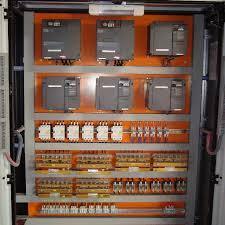 VFD can be used to ramp down the frequency and voltage to meet the requirements of the electric motor’s load. 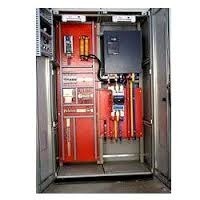 Looking for AC Drive Panels ?